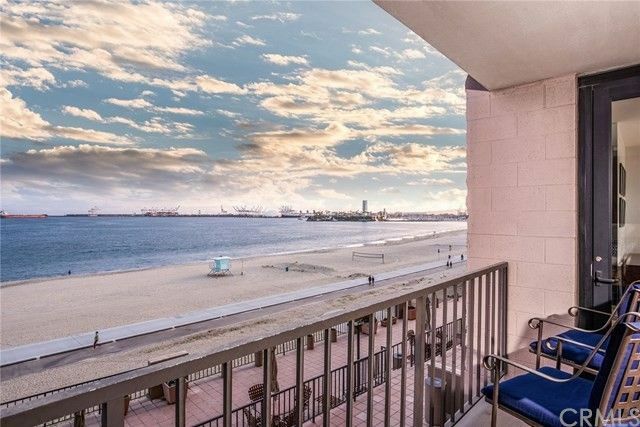 The crown Jewel of the highly demanded beach front Queens Surf is yours to be had!This stunning direct ocean facing unit offers some of the best panoramic ocean views along Ocean Blvd as well as the calming sounds offered by the gentle rolling waves that are right at your backyard as well! This amazing home has been professional designed and decorated with the finest attention to detail and offers fantastic upgrades such as:custom wood and tile floors throughout, Somfy automatic custom roller shades, custom soffit lighting installed with downlight and color changing upplight features, blue pearl granite kicthen counter tops with gorgeous custom glass tiled backsplash, custom shaker cabinetry with European hinges and pulls, stainless Frigidaire appliances, custom pendent lights in the kitchen, bar area with wine fridge and Ceasarstone counter top with custom distressed wood shelves, living room coastal distressed wood wall feature, master bath custom frosted glass barn door, master bath dual sinks with Ceasarstone countertops and custom walk in shower with spa like tumbled stone detailing and a walk in closet too!The designer touches and upgrades continue into the second bedroom and bath as well including:custom shutters, remodeled bath with custom tiled shower/tub walls and a beautiful Carrera marble counter top vanity too.2 side by side parking spaces on the same level with no steps is a huge bonus and you have extra storage!This is not to be missed! VA and FHA approved.